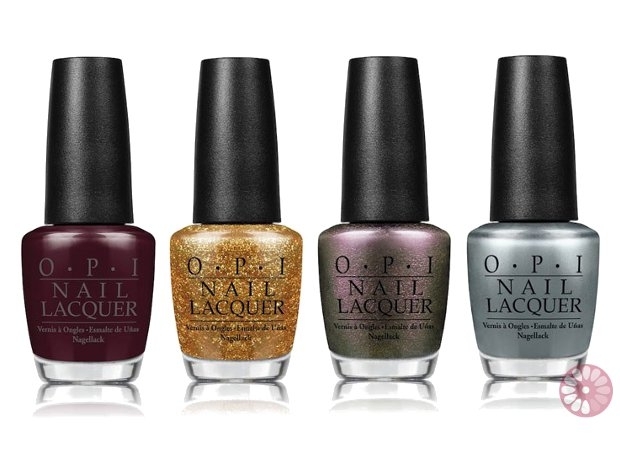 OPI Skyfall Holiday 2012 Nail Polish Collection. The James Bond inspired OPI Skyfall holiday 2012 nail polish collection is finally here. 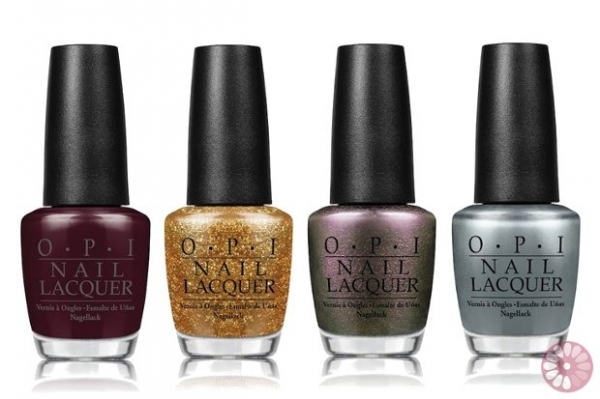 Check out the dangerous yet flirty tones the brand has prepared in honor of the upcoming blockbuster. 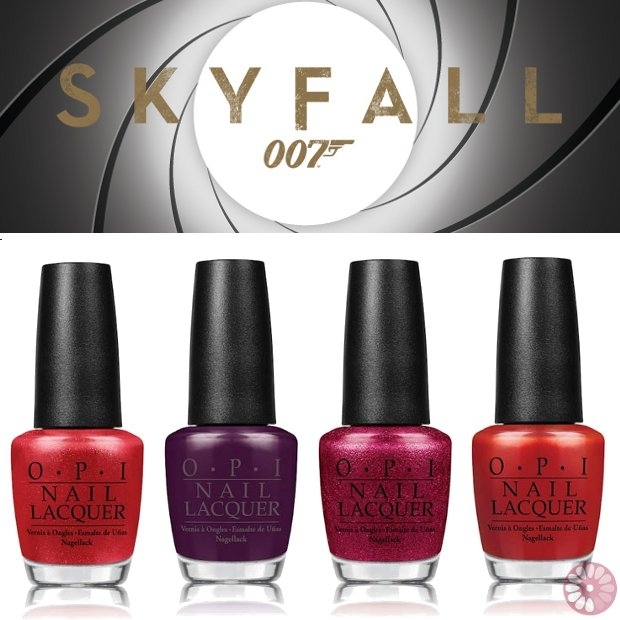 Over the years, OPI has shown it knows how to take blockbusters and turn them into covetable tones that get everyone talking.The 50 year anniversary of James Bond 007 and upcoming Skyfall movie have proven the perfect privilege to bring tempting new tones worth indulging in. The mere announcement of the collection and the star tone, a nail polish which features real 18 karat gold for a spectacular texture that can surely put you in the spotlight, has created a real craze. 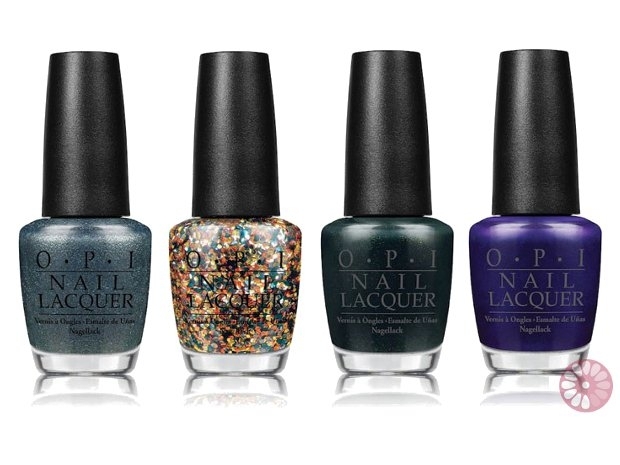 Dying to get your hands on these beauties? 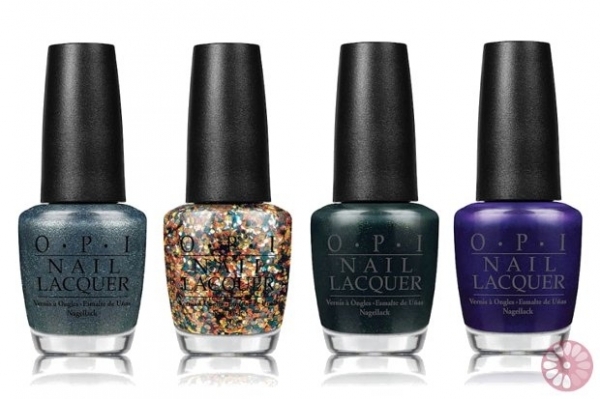 Well, they're already launched, so make sure to look for them at salons worldwide. 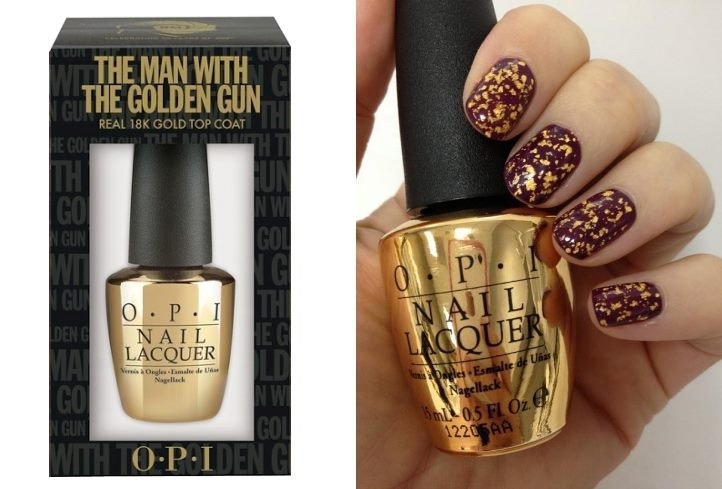 The gold top coat is also available at Sephora for $30.